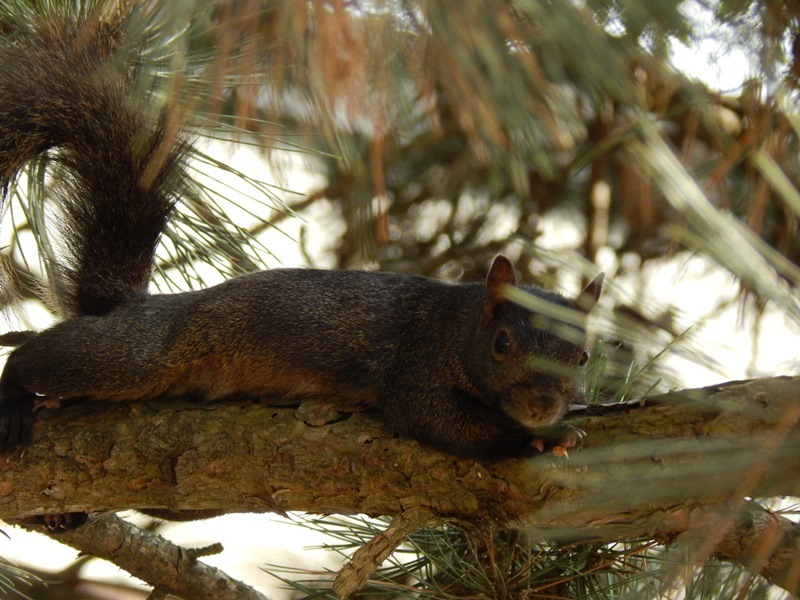 Mid-summer campus squirrel, by Vicki Brett. Here’s what we’ve all been up to. Graduate student Ashley Keefner is just back from a conference in Maryland. Ashley says, “I presented at the ‘International Association of Computing and Philosophy (IACAP) 2013′ conference; my talk was on models for similarity judgments and the paper was called ‘Semantic Pointer Model of Similarity. '” Nice work Ashley! Chris Eliasmith recently gave four lectures at a recent neural engineering conference and also the keynote at this conference on cognitive modeling. His lab is presenting 4 talks, 4 posters and a day long tutorial, at the end of July/beginning of August, at the 2013 meeting of the Cognitive Science Society. Also, a little bird told me Chris was recently featured on CBC’s science show, Quirks and Quarks. Brian Orend visited the Grand Canyon. Brian Orend gave an invited lecture on cyber-warfare at Arizona State University in late May, and visited the spectacular Grand Canyon afterwards. In June, he served as chair of the opening session at the Royal Military College’s workshop on “Ethical Warriors” and had published a book chapter, “Post-War Policy,” in F. Allhof, et al, eds. The Routledge Handbook of Ethics and War. Two weeks ago, he published “Drones are Justifiable Tools of Warfare” with the edited online journal e-International Relations. The short piece is available for free. And just yesterday he finished reviewing the final proofs of the second edition of his Morality of War, due out this Fall. Next up: a new translation of, and commentary on, Kant’s Perpetual Peace (forthcoming Broadview, 2014).